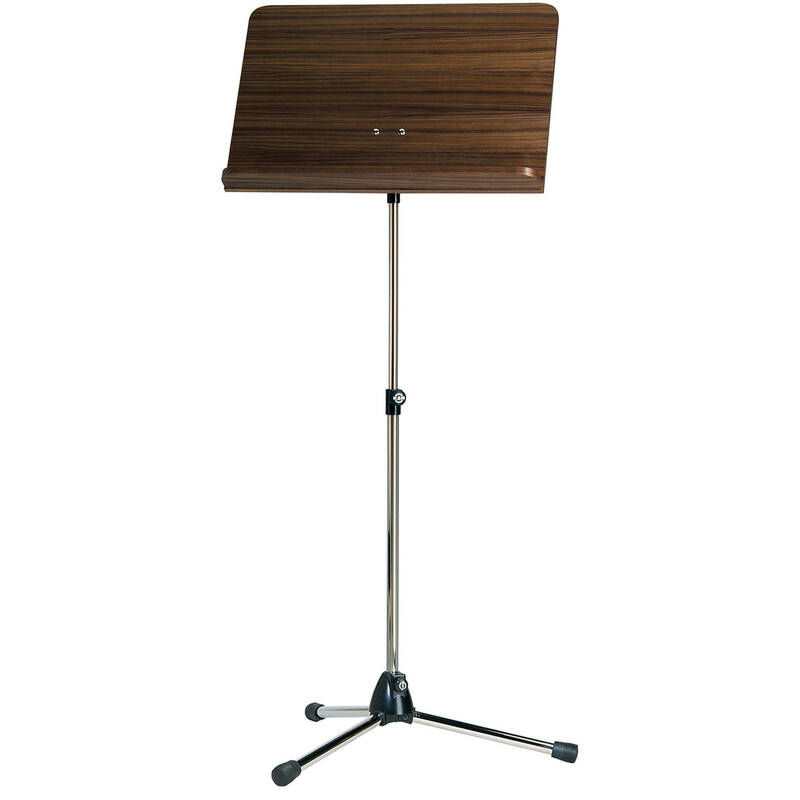 The K&M 11811-000-01 Orchestra Music Stands with Walnut Wooden Desks (2 Units) offer a height range from 27 to 48" (680 - 1210mm), and are well suited for concerts, scores, etc. Die-cast base ensures stable support and foldable legs allow compact size for portability. The removable walnut wooden desks can be attached to the nickel stands via a prismatic V-bock connector.